More good news for first generation Android owners. 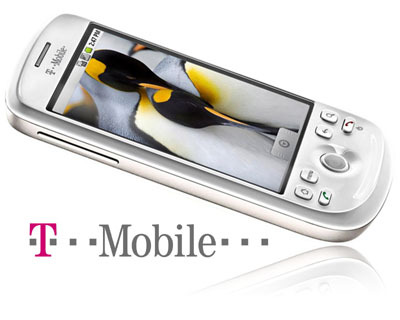 The T-Mobile myTouch 3G is destined to be get push to Android 2.1. Not only that, but there is also a good chance that it will get the Sense UI 2.1 Espresso version, just like it’s new big brother the myTouch 3G Slide. This is a little more of a substantial rumor, in a recent interview with Techland, vice president of product innovation at T-Mobile, Andrew Sharrard says that the update is being internally tested as we speak. So this is the first anyone is hearing about the update, hopefully it’s going well enough that T-Mobile will decide to release it soon. The only reason it’s being talked about so little, is because the first edition of the myTouch is on the low-end of capable hardware and specs. It will have to meet some big requirements before it can be released. Now we all know that if this is all true, it essentially means that the godfather of Android phones, the HTC Dream/G1 will also be able to run the update. It probably wont be an official update, but instead a custom ROM that rooted G1 owners can install. Both the myTouch 3G and the G1 share almost the exact same internal hardware. The only difference is the myTouch has a little more available RAM, and slightly faster processor clock speed. It all seems to make sense, we recently reported that Cyanogen has just released the first fully working Android 2.1 ROM for the G1 and myTouch 3G. If the update becomes official it will only help bolster the life of the two most popular Android devices, the G1 and T-Mobile myTouch 3G. Excited? I know I am. I’ve got two phones waiting for a nice new official update. If the update becomes legit, it will more than likely be in the form of a OTA update, seeing as T-Mobile phones have the capabilities. We will be keeping a close eye on the status of the update, hopefully soon we will have good news to report on in the near future. 3 Responses to T-Mobile myTouch 3G Getting Android 2.1, Really!